This Neighborhood Hotels Amenities Go Beyond Other Chandler, AZ Hotels Your home away from home, Holiday Inn Phoenix Chandler, is located next to the Ocotillo Golf Club with views of rolling fairways in the heart of Chandler. With our level of service & easy access to shopping, dining, Price Corridor, Phoenix Sky Harbor International Airport (PHX), Arizona State University (ASU) and world-class golf facilities you wont want to stay anywhere else. Business or Pleasure, we've got you covered. Amenities include onsite Restaurant, outdoor heated pool & hot tub, free WIFI, 24 hour fitness center, business center and local transportation. Within a 5-mile radius you will find local offices for Intel, Wells Fargo, OnTrac, Northrop Grumman, PayPal & ASML, and Chandler Fashion Center. Hotel is also within 20 minutes of Cactus League Spring training facilities; Tempe Diablo Stadium, Sloan Park & Hokoham Stadium as well as Gila River Casino and Fire-bird International Raceway. Looking to hold a meeting, wedding or event? Let our onsite catering experts assist you in creating a memorable and successful event. Our flexible meeting space with natural lighting & modern d cor is just the space whether you need an intimate boardroom or a spacious ballroom. With our location, amenities & level of service, Holiday Inn Phoenix Chandler goes beyond other hotels and takes pride in delivering genuine value to real people. Spoke Cafe: The Spoke Cafe features a bar with local breweries on tap as well as some of your favorites. Breakaway: The Breakaway is a 448 sq ft room slightly decorated in a Tuscan theme with patio doors leading into the pool area, access from the kitchen and double doors into the main hall way. Peleton: The Peleton is a 1248 sq ft room slightly decorated in a Tuscan theme with a beautiful granite counter top perfect for buffets , patio doors leading into the pool area and double doors into the main hall way. Sprint: The Sprint is a 448 sq ft room slightly decorated in a Tuscan theme with patio doors leading into the pool area, access from the kitchen and double doors into the main hall way. Ball Room: The Ballroom is all 3 of our rooms together with 5 sets of patio doors leading into the pool area, access from the kitchen and double doors into the main hall way. Boardroom: The Firenze boardroom is a 288 sq ft conference room directly across from the front desk with a large boardroom table, 12 leather executive chairs, white board and granite counter. 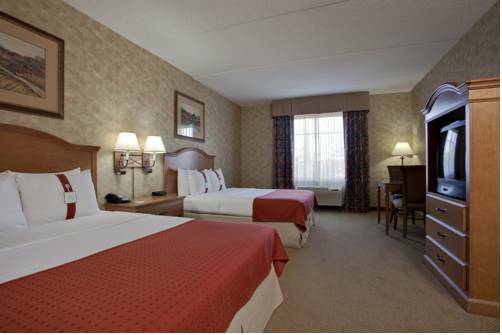 Phoenix Premium OutletsThe Phoenix Premium Outlets are located just 5 miles from our hotel. The Outlets offer brand names for less! They have 83 stores and restaurants. Stores include Under Armor, Michael Kors, J. Crew and so much more. Ocotillo Golf CourseOur hotel's neighbor, the Ocotillo Golf Course, presents a 27-hole championship course that sports flowing cascades and rolling fairways. We partner with the Golf Course to offer complimentary shuttle service to and from.